13 Incredible Facts About the New Dodge SRT Demon (And Yes, It Really is Banned by NHRA)! The Demon has been unleashed. For New York Auto Show week, Dodge has officially introduced its much talked-about 2018 Challenger SRT Demon—the most powerful muscle car ever! Its upgraded 6.2L Demon V8 engine features a larger 2.7L supercharger with boost pressure increased to 14.5 psi, higher 6,500 rpm limit, and innovative SRT Power Chiller which redirects air conditioning refrigerant to chill the charger air cooler. The Demon also boasts a Drag Mode suspension to make optimum use of its 840 horsepower (yes, 840 horses on 100+ race gas!). The Drag Mode setup produces better weight transfer and traction, and Drag Mode Launch Assist adjusts engine torque (770 ft.-lbs.) to instantly eliminate wheel hop on launch. 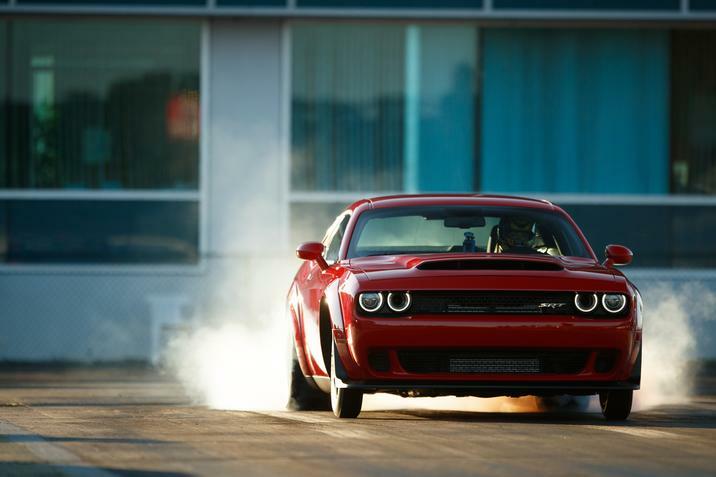 Factory-installed Nitto street-legal drag radials ensure better grip compared to the Hellcat tires. The Demon Crate is available to SRT Demon buyers and contains all of the components needed to unleash the Demon on the track. For those looking for a tamer ride for the street, the Demon also comes with an Auto (Street) Mode, which when selected, scales back the power and get a more comfortable ride. Production of the limited-edition single model year (3,000 United States/300 Canada) Challenger SRT Demon begins later this summer. Below are 13 incredible facts about the 2018 Dodge Challenger SRT Demon. Be sure to read Fiat/Chrysler’s official Demon announcement for tons more details. Its not “banned from the dragstrip” for being too fast. Its banned for not having the proper safety modifications required for cars going that fast. Such as a roll cage. The fact is nobody is going to spend 100K on a car and then void the warranty by welding in a roll cage so they can take it down the track. It is a purpose built drag car? Dodge should have built a NHRA approved cage into the car and masked it with interior parts. Calm down Chevyboy, when production Camaros start doing wheelies you will have a diffident outlook. Where did you get the 100K figure from? Dealership’s will up their price big time but I can’t see it costing that much from the factory. And further where in the world are you going to use a transbrake to launch the car other than on the drag strip? But you aren’t allowed on the drag strip unless you void the warranty on a 100k car and weld in a cage? 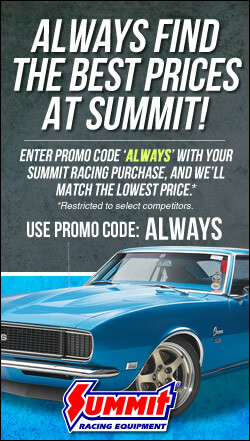 Yet people want to brag about how the NHRA has “banned it” like its a good thing. No…its just not built appropriately for those speeds according to the NHRA. Seth, I don’t know what your beef is regarding the Demon I won’t make any Ford or Chevy jokes but, I’m pretty sure most people WILL NOT install a roll cage. Most will be driven sparingly some may not be driven at all. BTW Hennessy are bringing out their own package that will boost H.P up to 1500…Game over Ford and Chevy! Im sure dodge will come out with a aftermarket cage. Or at least work with someone who can do a cage and not void the warranty. Can’t you stop the childish bickering, and knocking the car companies. Ford and GM participate in NASCAR and Chrysler ducked out even though Keselowski won them a championship in their last year. They just wanted to spend their money elsewhere and the results are here. Chrysler wanted to show the world what an engineering masterpiece they were capable of creating and they did it. All this talk about NHRA is just that, talk. They achieved their goal, they are getting more press out of this than they did when Bradley won the championship for them. Girls, it’s all about money and where they can get the most bang for their buck and you girls are making them happy with your bickering about a roll cage that they purposely left off the car. They just did what no other car company or person did. And with your bickering back and forth they get even more press. All because you girls think they were stupid and didn’t make it NHRA compliant. The knew what they were doing and deserve credit for their accomplishment. It is an engineering marvel. I became “of age” in the 60’s and remember all of the great muscle cars of that period – cars which are now highly sought after classics. I admit to being a Mopar fan after my dad bought our first Dodge in 1964 and I have never looked back. I enjoy all of the great cars form this special time in automotive history and production and wish the bickering and uncalled for comments would cease. We should all be thankful that we are living in an era of great and powerful vehicles from all of the big three. The Dodge Demon is truly a “special car” not for everyone or the faint of heart. It’s great to see Chrysler, which many consider an underdog, at the fore front of automotive performance and technology. This vehicle, alone, shows the commitment of the company’s desire to produce and sell really exciting cars. I am sure GM and Ford will follow Chrysler’s lead and continue to build cars that so many of us from an earlier generation can become excited about and revel in the incredible performance available in today’s automotive market.